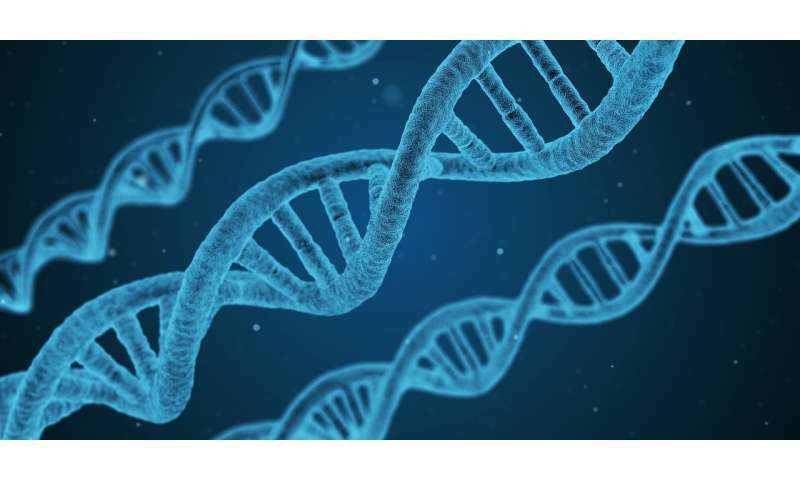 Information is stored in synthetic DNA molecules created in a lab, not DNA from humans or other living beings, and can be encrypted before it is sent to the system. While sophisticated machines such as synthesizers and sequencers already perform key parts of the process, many of the intermediate steps until now have required manual labor in the research lab. But that wouldn't be viable in a commercial setting, said lead author Chris Takahashi, senior research scientist in the Allen School. "You can't have a bunch of people running around a data center with pipettes—it's too prone to human error, it's too costly and the footprint would be too large," he said. For the technique to make sense as a commercial storage solution, costs need to decrease for both synthesizing DNA—essentially custom-building strands with meaningful sequences—and the sequencing process that extracts the stored information. Trends are moving rapidly in that direction, researchers say. When the system needs to retrieve the information, it adds other chemicals to properly prepare the DNA and uses microfluidic pumps to push the liquids into a machine that "reads" the DNA sequences and converts it back to information that a computer can understand. The goal of the project was not to prove how fast or inexpensively the system could work, researchers say, but simply to demonstrate that automation is possible. "Having an automated system to do the repetitive work allows those of us working in the lab to take a higher view and begin to assemble new strategies—to essentially innovate much faster," said Microsoft researcher Bichlien Nguyen. The team from the UW's Molecular Information Systems Lab has already demonstrated that it can store cat photographs, great literary works, pop videos and archival recordings in DNA, and retrieve those files without errors in a research setting. To date they've been able to store 1 gigabyte of data in DNA, besting their previous world record of 200 MB. The researchers have also developed techniques to perform meaningful computation—like searching for and retrieving only images that contain an apple or a green bicycle—using the molecules themselves and without having to convert the files back into a digital format. "We are definitely seeing a new kind of computer system being born here where you are using molecules to store data and electronics for control and processing. Putting them together holds some really interesting possibilities for the future," said UW Allen School professor Luis Ceze. The researchers are developing a programmable system that automates lab experiments by harnessing the properties of electricity and water to move droplets around on a grid of electrodes. The full stack of software and hardware, nicknamed "Puddle" and "PurpleDrop," can mix, separate, heat or cool different liquids and run lab protocols. The goal is to automate lab experiments that are currently being done by hand or by expensive liquid handling robots—but for a fraction of the cost. "What's great about this system is that if we wanted to replace one of the parts with something new or better or faster, we can just plug that in," Nguyen said. "It gives us a lot of flexibility for the future."